Kjell Nolke - Practice Boss ! Kjell qualified from Dublin DIT in 1993. He spent 2 years working in Killarney before moving to London where he worked for 5 years in various practices including St Thomas's hospital, St Peters hospital eye departments, Theodore Hamblins opticians on Wigmore Street, Dollond and Aitcheson and Specsavers practices. Yvonne Nolke - Practice Boss ! Yvonne is a qualified nurse. She specialises in paediatrics and neonatal care. When Yvonne is not working at home with our two kids Ewan and Katie, walking Gabby the dog, working in Waterford Regional, she helps out in the practice. Yvonne completed the Cambridge University dispensing assistant course in 2011. 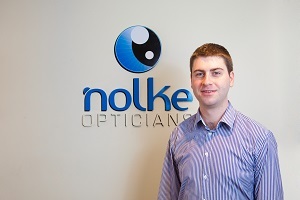 Ailis joined Nolke Opticians from the very start in 2004. She has a degree in HR Management and had 3 years previous opticial experience before joining our team. If your looking for something - Ailis will know more than Kjell! Brian joined our team in 2008.He enjoys the detailed work involved in glazing, assembling and repairing spectacles. Brian completed the Cambridge university optical dispensing assistant course in 2012. 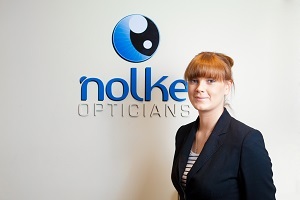 Eilis joined Nolke Opticians in 2010 and is in charge of reception, and dispensing / sales. She has a keen eye on frames and enjoys finding just the right frame to suit every face. 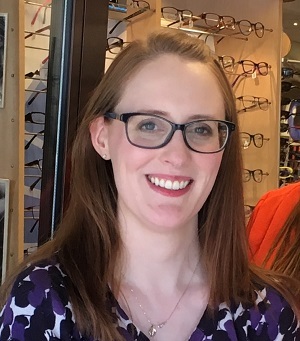 Stephanie has worked in optics for over 10 years and started in Nolke Opticians in 2006, only to leave for Australia and return in 2013 to cover for Ailis's Maternity leave. Stephanie clearly loves working in optics and her keen eye for fashion makes her a real asset when looking for that frame you've always wanted. 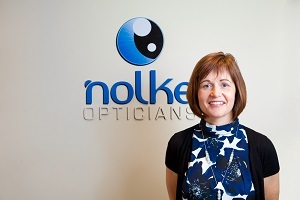 Nolke Opticians is delighted to welcome Optometrist Orla Reade to our team. Orla who is originally from Carlow has practiced as an optometrist in Carlow and Kilkenny since 2006. Practice owner Kjell Nolke opened the practice in Ardkeen Waterford back in 2004. Having experienced the highs and lows of the last 13 years, the practice has grown substantially and Orla’s arrival will allow the practice to develop and grow further. 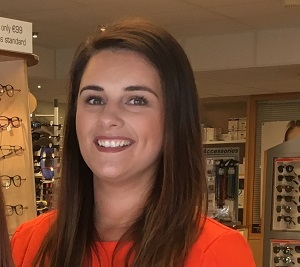 With experience in Specsavers opticians Orla will bring valuable knowledge to the work flow and processes in practice. 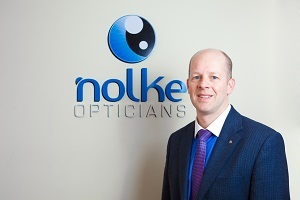 Nolke Opticians eye-care practice is very much centred on the patient journey, giving time to the appointment as well as the use of the latest in technology. With our OCT (Ocular Coherance Tomographer) we are able to view patients retinal structure similar to an ultrasound scan. Combined with Hospital standard visual field screeners, painless glaucoma screening, custom contact lens fitting and a new low vision service for visually impaired patients, both Orla and Kjell will havepplenty to keep them both busy. 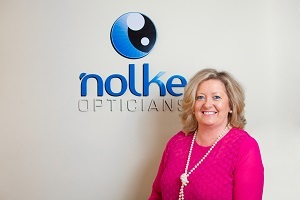 Donna joined Nolke Opticians late 2016 as Optical assistant. She is a bit of a fashion diva and loves everything eyewear (especially the sunglasses!). Donna has picked up the optical lingo very quickly and is a welcome new addition to our front of house team.